Winter is Coming – Is Your Boat Ready? 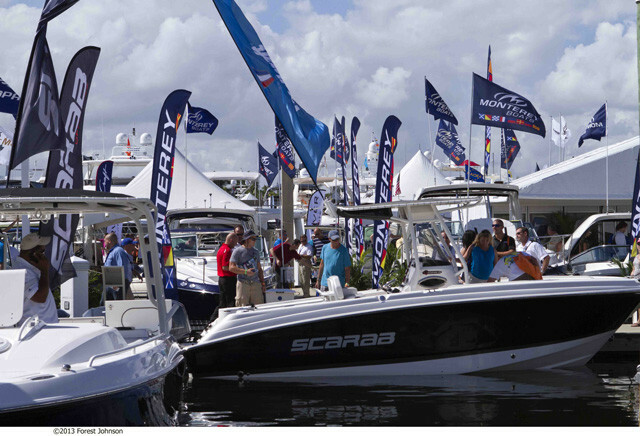 Fishing boats made a strong showing, in Fort Lauderdale. As usual this year, my benefactors at boats.com sent me to the Fort Lauderdale International Boat Show. And also as usual, it was a crazy scene full of uber-expensive yachts, luxury machines, and watercraft as varied as mini-subs and hovercraft. This show is not – repeat, not – really focused on fishing boats. But as usual, there were some real stand-outs. First was the Everglades 435 CC. Yes, that’s right, a 43′ center console. It had highlights including a fishbox large enough to nap in (literally, at 225 gallons), and quadruple Yamaha F350 outboards. Sure, you’ll be burning 130 gallons per hour at WOT, but you’ll be doing it at 60 MPH. Proving that bigger isn’t always better, Striper introduced a new 200 DC. Dual console models aren’t always the first choice of anglers, but they do make a great combination fishing and family boat. And one thing I really liked about this one is how Striper paid a lot of attention to comfort, with features like an enclosed head compartment in the passenger’s console, and extra-large recliner-style helm seats. Another sweet fishing machine was the Aegis 34CC. This is the newest model from Aegis, and while you might not recognize the name, I’ll bet you do recognize the name McKee Craft. Aegis took the company over a few years ago, and now builds both brands. You want to get even more grand? Hatteras showed off their new 70 GT convertible. This yacht (don’t call it a boat!) isn’t merely huge, it’s also fitted and finished for a king. Seriously. The stand-out for me was the rod locker built into the companionway. Its racks will hold dozens of rods, from 30’s to 80-wides. Whatever your fantasy fishing boat is, chances are it was there. Ready to go looking for yourself? The Houston Boat Show is just a couple months away – and you can bet there will be plenty of sweet new rides to check out there, too.